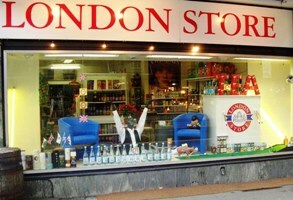 Zug's Londonstore specializes in British favorites. Despite the bounty of tasty local fare, there are some foods that expats living in Switzerland can’t seem to live without. With this in mind, shopkeepers specializing in British and American products are filling a market niche as they fill bellies with crumpets, cookies and cheddar cheese.